EventBeat does not limit itself to any number of hashtags during an event, unlike other competitors, which increases participation from social media users. #GNRMillion, #greatnorthrun, @gnr and various other keywords are monitored, pre, during and post show. Through careful moderation and feed curation, the various comments and images were broadcasted live to the event screens. The Twitter wall at the Finish line consisted of tweets that had been posted by both; crowd members at the event, and those who were watching live footage on their TV’s at home. Applicants were actively encouraged during the race, as they read motivational tweets from their family and friends. The runners who managed to complete the race could also participate, as they were able to tweet pictures of themselves with their medals onto the large LED screen, which helped add to the overall communal effort from all involved. 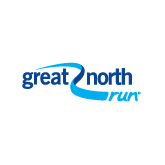 The inaugural Great North Run was staged in 1981, involving 12,000 attendees; compared to the 56,000 that manipulated their way through the 13.1 mile-long course in 2014. This massive increase in popularity and participation has led to higher profile individuals taking part, such as BBC Radio 1 DJ Greg James and Olympic gold rowing medallist, James Cracknell, to name but a few. Elite athletes are also present at the event, including this year’s male winner, Great Britain’s very own Mo Farah, and the female champion, Mary Keitany of Kenya. Supporters and runners at this year’s Great North Run ensured that it was once again a huge success, through their participation of social media. Sunday’s race (7th September, 2014) was extra special as it became the first half-marathon in the world to be completed by a million people, since it’s inception in 1981. EventBeat were present throughout the duration of the event, to assist in promoting the hashtag, #GNRMillion. A mammoth-sized LED screen, provided by the digital signage specialists adi.tv, was stationed at the Finish line to endorse, through EventBeat’s social media stream, the Great North Run and it’s one millionth runner. Although a number of the hashtags on twitter differed slightly, #gnrmillion still managed to become one of the most talked about topics of the day. 21,531 tweets contained the hashtag #gnrmillion, there were 18,469 hashtags for #greatnorthrun, and 17,421 comments and images incorporated the hashtag #gnr. Throughout the event, EventBeat published 1,017 comments and images, which can be broken down as; 396 general comments, 312 image and comments, and 309 image slide.